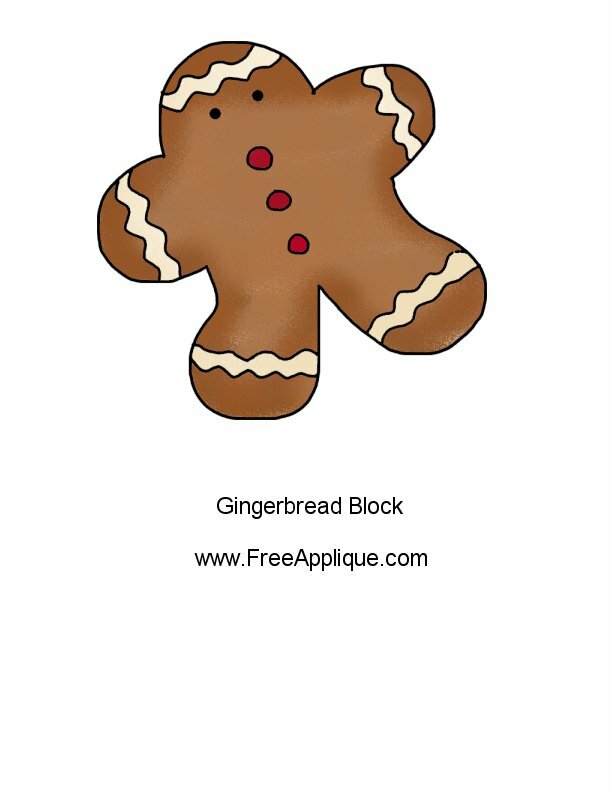 This cute little gingerbread man looks good enough to eat! Bake up a batch of these charming cookie appliques to add spicy goodness to any holiday project. Create a festive set of kitchen accessories or add a gingerbread boy to a Christmas banner or wall hanging. Sew on ready-made rickrack instead of the applique icing pieces or add real buttons for extra 3-D embellishment. You could even apply tiny black buttons for his eyes, or use your embroidery skills to make French knots. 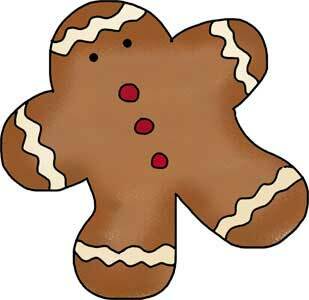 Add this gingerbread man pattern to a wall hanging or use it as a quilt block. The pattern is attached for making the white icing out of fabric, but rickrack could also be used. Iron Wonder Under on the wrong side of material. Follow the manufacturer's directions for ironing on the Wonder Under. Trace pattern pieces on the Wonder Under and cut out all pieces. 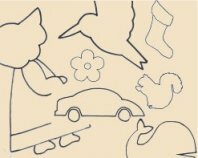 Remove Wonder Under paper backing from all pieces. Position each piece with right side of the material up. Iron pattern pieces on the fabric as directed for the Wonder Under. Use black embroidery floss for french knots for the eyes. Sew pieces on with a medium tight zig zag stitch. FreeApplique.com - Disclosure: I am an affiliate of the products recommended on FreeApplique.com.